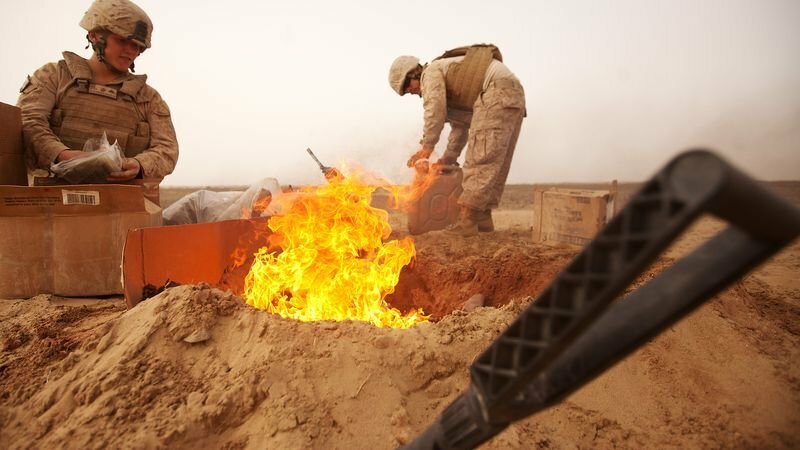 What Agent Orange was to the Vietnam War generation, toxic burn pits might be to Gulf War–era service members. The Tampa Bay Times recently reported that “nearly 120,000 people…have registered with the Department of Veterans Affairs because of health problems they blame on their exposure to burn pits.” In remote areas of Iraq and Afghanistan, where even incinerators were impractical, the U.S. military employed an extremely low-tech method of waste disposal: simply tossing debris into a hole in the ground and igniting it with jet fuel. Unfortunately, the VA seems to be taking the same approach to the burn pits that it took in the early days of the Agent Orange controversy: deny and delay. The VA set up a registry in 2013 to monitor the health effects of burn pit exposure among veterans, but routinely denies disability benefits based on exposure. At Marcari, Russotto, Spencer & Balaban, our veterans’ rights attorneys are following that case closely. We see parallels not only with Agent Orange, but also with the long-term effects of toxicity on rescue and recovery workers at the World Trade Center after the 9/11 terrorist attacks. The collapse of the towers created a toxic plume that spread poison throughout the area, and the smoldering rubble continued to release toxins for months during cleanup and recovery. When workers came forward with respiratory and gastric complaints they said were related to their work at Ground Zero, the government initially resisted. But eventually Congress created the World Trade Center Health Program and the Victim Compensation Fund. Currently, the WTC Health Program recognizes 68 different cancers and several noncancer illnesses that are presumptively related to 9/11 toxicity. If the burn pits in Iraq and Afghanistan released similarly potent toxins, we fear that veteran complaints will increase in number over time, forcing Congress and the VA to act. I work in a burn pit and now have health problems. We are sorry to hear that. We would be happy to discuss your VA Claim with you. We can be contacted directly at 866-866-8387. We are sorry to hear that. We would be happy to speak with you about your claim. We can be reached at 866-866-8387. Denied for IBS. Can you help? We would be happy to speak with you regarding your claim. We can be reached at 866-866-8387. I was in the smoke of the burn pits of Baghdad bi-weekly. I’m having problems walking when there isn’t any other explanation as to what’s wrong. Harry, we are sorry to hear that. We would be happy to discuss your VA Claim with you. We can be reached at 866-866-8387.